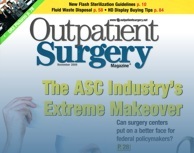 Biologic’s Fluid Immersion SimulationTM technology is highlighted in this article from Outpatient Surgery Magazine. The article examines the latest in devices and materials that redistribute pressure to prevent tissue damage. From the article: Fluid Immersion Simulation is by far the most advanced pressure-redistribution technology on the market.